Toxic Assets Getting You Down? The Consumer Financial Protection Bureau (CFPB) was created by the 2010 Dodd-Frank Wall Street reform bill to look out for the financial interests of ordinary Americans and give consumers clear information about financial products like mortgages, credit cards and credit reports. The CFPB website is a good place to learn about consumer financial products, your rights as a consumer, and to file a complaint about a financial institution or product. The CFPB began taking consumer complaints about credit cards on July 2011; it began handling [https:/help.consumerfinance.gov/app/mortgage/ask mortgage complaints] on December 2011; and it began accepting complaints about bank products and services, private student loans, and other consumer loans on March 2012. Throughout 2013, the CFPB expects to handle consumer complaints on all products and services under its authority. Other areas in which the agency is expected to act include overdraft fees, which are charges banks levy when more money is withdrawn from an account than it contains; debt collectors, and credit-reporting firms, which the CFPB began supervising January 2013. Consumer advocates overcame stiff opposition from the financial services industry to require that the Bureau develop a unique public database of consumer complaints. The easy-to-use database allows consumers to document and seek redress for a wide range of complaints regarding financial service providers and allows regulators to spot trends and target abusive industry practices with new regulations. TO FILE A COMPLAINT with the CFPB go here. TO SEE COMPLAINTS that have been filed go here. For better or worse, a bill passed Congress in the wee hours of 2013 averting the much-hyped "fiscal cliff" for now and raising taxes on couples making over $450,000 and extending a lifeline of unemployment benefits to 2 million Americans. But the vote is not so much an ending as a beginning to the austerity battles of 2013. 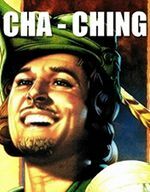 It's Time For a Robin Hood Tax! Reckless Wall Street gambling collapsed the global economy, and we are still reeling. Politicians claim America is "broke" to justify layoffs and drastic cuts to critical services. But we're not broke. Robin knows where the money is. A tiny tax on Wall Street will generate billions to help Main Street get back on the road to recovery. 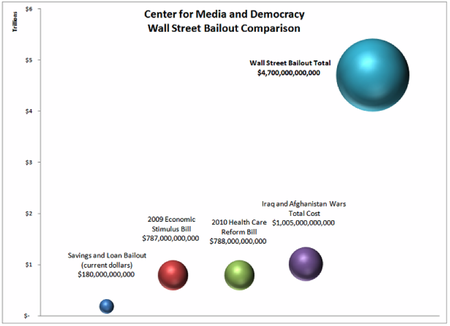 The Center for Media and Democracy produced a Wall Street Bailout Tally of all 35 Federal Reserve and Treasury Department programs. While, the mainstream media focuses on the $700 billion TARP bailout bill and its related programs, the actual tally is closer to $4.7 trillion -- yes trillion with a "t". Check out our tally here. 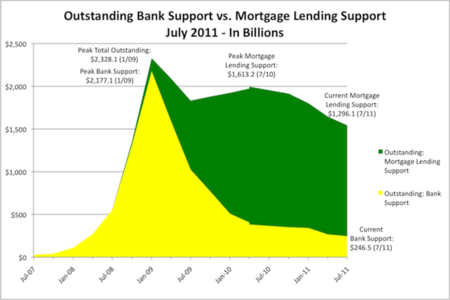 The Bailout Bubble graph below puts this number in perspective. Bloomberg News did a series of Freedom of Information Act requests of the Federal Reserve about their back door bailouts of financial institutions at the height of the financial crisis. Their article "Secret Fed Loans (of $7.7 trillion) Gave Banks $13 Billion (profits) Undisclosed to Congress" is long but a must read. They also have some specific databases that allow for bank by bank research. This chart and an article by CMD's Mary Bottari was featured in Dollars and Sense Magazine. These graphs were produced by the Center for Media and Democracy. 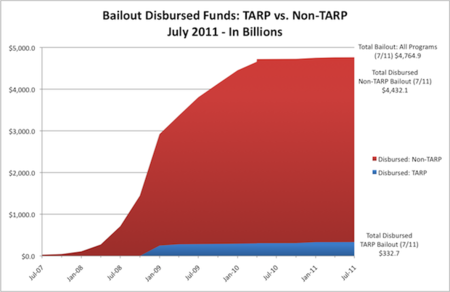 The first shows the TARP bailout, which was voted on by Congress in October 2008, compared to the backdoor (Non-TARP) bailout by the Federal Reserve, which was never subjected to a Congressional debate or a vote. The second chart shows that the vast majority of Federal Reserve money has gone to purchases of mortgage backed securities, a practice that was continuing into 2013. See more here. The Real Economy Project needs volunteers to help document the people and policies behind the financial crisis and bank bailout. Help can be found at "welcome, newcomers! "; the main help page; and the FAQ. This page was last edited on 21 May 2015, at 19:15.